Raffles on Robson in Beautiful Downtown Vancouver British Columbia was completed in the summer 2008. Built by Aurmon Developments, 821 Cambie Street features 22 floors of residential luxury condo suites equipped with high end appliances like Leibherr and Meile in the kitchen and La Torre and Caroma in the bathroom. 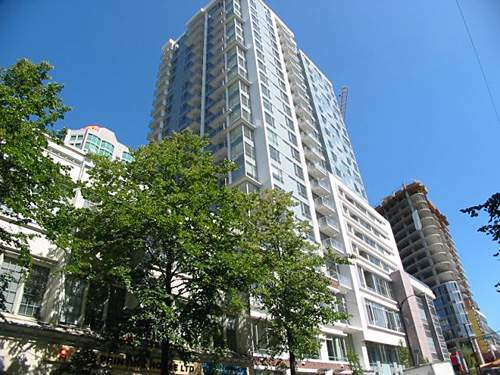 Ranging in size from one bedrooms to two bedrooms plus dens and lofts, Raffles on Robson is unique in Downtown Vancouver. Located at the corner of Cambie and Robson, Raffles on Robson is located at the center of everything great Vancouver has to offer.